Inaugurated in 1994, the David A. Morse Lecture supports an annual meeting with a distinguished speaker. It honors the memory of lawyer, public servant, and former International Labour Organization Director-General David A. Morse, an active Council on Foreign Relations member for nearly thirty years. This program is cosponsored by the Women and Foreign Policy Program and generously supported by the William and Flora Hewlett Foundation. BISHOP: Great. 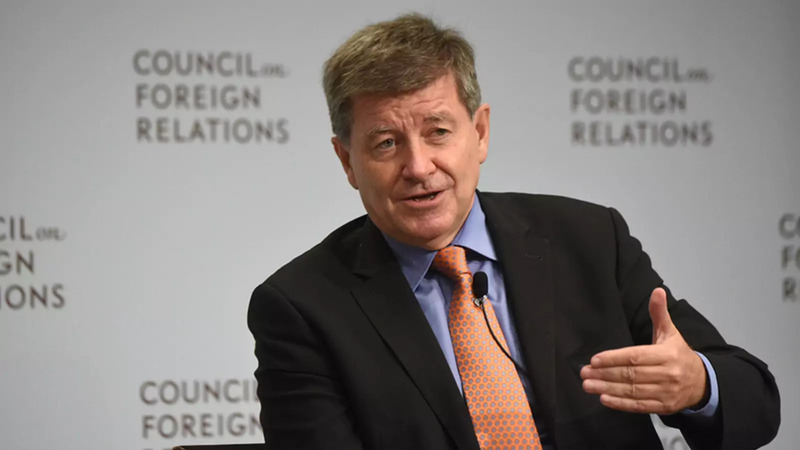 Well, good afternoon and welcome to today’s Council on Foreign Relations meeting with Guy Ryder, who’s director-general of the International Labour Organization. I’m Matthew Bishop and I’ll be presiding over today’s discussion. Now, this is the David A. Morse lecture, which honors the memory of lawyer, public servant, and internationalist David A. Morse, who was an active Council on Foreign Relations members for nearly 30 years. I wonder if there’s anyone here who member him. Great, so we have people here. And this program is generously supported by the William and Flora Hewlett Foundation. So many thanks to them. I wanted to start, Guy, by asking you about David A. Morse and his legacy. RYDER: Yeah. I mean, I think the first thing I should say in that regard is that David Morse is sort of the yardstick against with any director-general of the International Labour Organization, whether he or she likes it or not, is inclined or obliged to measure their performance, because he was a man—he ran the organization for 22 years. That’s neither possible nor legal anymore, but 22 years. (Laughter.) During which time, you know, the organization went from being a relatively small group of countries, just over 50, on the road to universal coverage, over 120, when he left. Presided over the phase of the organization’s history characterized, I think, above all, by two things. One was the Cold War. And I caught the very end of the Cold War at the ILO. It defined the way our organization operated and worked. RYDER: Because an organization which, you know, you would expect to be an area for governments, employers, and workers to interact and oppose each other, it was—basically, it was a tripartite lineup of the East against a tripartite lineup of the West. It was, I think, a dynamic which those who didn’t actually live through it would have a difficult time recognizing at the moment. So there was all of that. And the other, of course, was decolonization. And he turned the organization from being basically an organization which sat in Geneva and established what we hoped would be the rules of the international labor code to actually being an organization that felt that it was its duty to go out to member states and to help them solve problems through technical cooperation, to actually be a problem-solving organization. BISHOP: That’s the only possible reaction. RYDER: No, I couldn’t possibly say that. But the president started by talking about President Truman, talking about the Marshall Plan, and talking about how U.S. leadership in the international community should learn lessons from that period. And I can see a somewhat surprising message perhaps from President Trump, but I could see a great deal of the Morse achievements in those reflections from the president yesterday. The speech then went in a slightly different direction, but there were some echoes. BISHOP: And you—as an organization, you reached your hundredth anniversary in two years’ time. I mean, what do you see the role of the ILO in the—in the world being at this point in time? RYDER: You know, for an organization—and we’re the only survivors from that sort of rather ancient history of the League of Nations. The ILO predates the United Nations by a considerable period of time. We are constantly up against the criticism that we are basically a model that’s more appropriate to the early 20th century than to the 21st century. This idea of bringing workers and employers to the table along with governments might seem to belong to a past industrial age. We’re faced with realities in terms of trade union density. We’re faced with changes in business behavior. And I think there’s a great deal of questioning of the basics of tripartism, as we call it at the ILO, and that’s the first thing. And the second thing is the founding mandate of the organization. You know, it’s an organization mandated to promote social justice in the world. Social justice is the surest guarantor of peace in the world. And I happen to believe that that mandate is probably as relevant if not more relevant today than at any other point in the ILO’s history. I know that sounds rather like a cliché, but if you observe what is taking place, if you observe the discussions taking place in New York at the general assembly these days, you can’t help but be reminded of the realities of that. Now, as we go to our centenary, we’re not just trying to engage in an act of self-justification, that we’re relevant, and that our model can still stand the test of purpose. I need to try to ensure that the ILO remains faithful to its founding credo but is able to deliver on its obligations in a world of work which is undergoing transformations of a most profound nature. And that is why we are trying to focus our centenary in 2019 on a reflection on the future of work. Now, this is not just innocent observers or interested parties’ observation on the future of work. We’re trying to look at the future of work and work out what we need to do if the future of work is to remain or is to be a generator of fair outcomes, of social justice, and of the types of societies that we want to see in the future. BISHOP: Now, I suppose at the moment there seems to be a loss of faith that there is much of a future for work, and there’s a sense that, you know, certainly if you look at some of the wilder predictions from the—some of the books that are being written about the future of robots and AI and so forth, where we’re facing a world where, you know, vast amounts of existing jobs, including white-collar jobs and so forth, are going to be wiped out and machines will do all the work and we’ll have to—I don’t know what we’ll do, write poetry or something. And that—does that vision seem plausible to you as you start to contemplate the future? RYDER: Well, you haven’t surprised me asking that question, Matthew, because nearly every conversation we have on the future of work starts with the conversation about how technology is going to bring an end to work, you know, the workless future. I was very encouraged in a meeting at the World Economic Forum this week to hear some of the people, who I’d actually thought were responsible for some of these predictions, say there are a lot of silly predictions out there about how many jobs are going to be destroyed, where and when. And there seems to be a growing acceptance of something which I think is fundamentally important to the debate on the future of work; that is, that there is no predetermined course in the future on what work will look like in the future, how many people will do it. It’s not going to be technology. It’s not going to be globalization. It’s going to be policy decisions and policy settings that will form the future of work. The future is not written in the stars. Now, that is not to deny that technology is going to be fundamentally important. That is not to deny that the choices we make about the future of globalization, which today seem to be more uncertain than I’ve ever known in my professional career, will strongly influence the future direction that we take. But the future work is a policy debate. And the whole history of our organization—and I hope you will excuse me if I seem rather parochial in all of this—shows that ambitions set by visionary leaders nearly a hundred years ago have been realized or not realized not according to extraneous forces of the market or technology but by very determined policy decision-making. And that is a truth that is a hundred years old, and it’s a truth that will guide the direction we take in the future of work. And I will repeat that we have a compass to navigate that future, and it’s the compass of social justice. It’s there in our founding constitution. And I think it needs to be writ larger and larger as we attack the very complex issues before us. BISHOP: So when you say a policy debate, I suppose the policies that really have dominated the first hundred years, the ILO and what’s been happening in terms of protecting and shaping the world of work, have been largely based on a notion of some degree of permanence in terms of the existence of the employer. You have big companies, some degree of stability in terms of the definition of jobs, so that you can write a whole bunch of rules around them; some sense actually that it’s—there’s a family unit, and the man for a long time is the person that’s the breadwinner and they should be supported; to some extent that trade union members should be supported, although I guess that battle was probably ended 30 years ago or so. But there was a sense all those factors are there, and that around that you can basically set rules on, you know, when an employer can hire and fire and what someone gets paid and what benefits they’re going to get from their employer and what they’re going to get from the state. Is it the same set of questions going forward in a world where employment—where firms don’t feel they can necessarily be guaranteed to be here in five or 10 years’ time, that women are the driving force in the labor market, that the family unit is breaking down, that the union movement seems to be in a death spiral, and that, you know, fundamentally we don’t even know what jobs are going to look like in 20 years’ time? RYDER: Look, I think we all have in our mind’s eye that imagery of exactly that sort of template that you’re referring to. I tend to think of it in terms of the job that my father did or my grandfather did. And I have a bit of nostalgia about it, because, you know, left school, got a job, permanent contract, five days a week, pension at the end of it. It wasn’t that great. But we knew what life was like. And for 70 or 80 years, I think the ILO—there’s nothing written to this effect—felt that promoting social progress, getting its mandate delivered, basically consisted of getting people into that template of employment. That was what progress looked like. And in the developing world, that meant getting people out of informal jobs, getting them into a formal economy, getting the basics of a written contract, the pension, et cetera, et cetera. That was pretty easy and pretty one-size-fits-all sort of objective of the organization. That doesn’t apply any longer, does it, because we’re seeing—I try to pick my words carefully—a diversification of work forms. You know, if we take that standard employment form as a one-time objective, and the aim was a conveyor belt getting people towards it, well, now we’re seeing a divergence of conveyor belts taking us into a diversified labor market, very different forms of employment. Now, there are two possible—and that’s a very confusing thing, because, you know, the notion of a single and easily understood objective in work is sort of dissolving before our eyes. Now, my view on this matter is that we now have to reestablish a notion of what quality employment—decent work—looks like in a diversified labor market. Now, the evidence today is if you’re in a part-time job, if you’re on a temporary contract, if you’re in any other forms of nonstandard jobs—which there may be nothing inherently wrong about—you still incur a penalty. A penalty in terms of wages. A penalty in terms of access to training and career development. A penalty in terms of social protection and pension rights. So if we accept this diversification of workers as the inevitable, necessary, or, indeed, desirable future of the world of work, what types of policies, institutions—what types of measures do we need to introduce to ensure that this diversification still leads to decent work, quality jobs, in all of its different aspects? That’s not impossible. I think it’s entirely possible. But it does mean that we’re going to have to look for new tools of labor market engineering. I see too much—and I think organized labor has to think this one through—too much of an approach in some of our debates of trying to put the genie back into the bottle. That is to say, to reinstate that standard employment form that perhaps my parents would have—my father would have aspired to. That won’t work. And I think it’s a futile thing to try to do. We have now to try to put the yardstick of quality into the diversification of job forms. BISHOP: I mean, do you think the trade union needs to be reinvented in some way? RYDER: I mean, as a declaration of interest, I worked in the labor movement for three decades. The decline of union density around the world is a reality. And the union movement I came from, when I was working it had 12 million members. It has about, what, our country, 6 million? Is that a good thing? I don’t think it is a good thing. It’s certainly not a good thing for labor. I don’t think it’s a good thing for business, unless you are a sort of staunch advocate or believer in the zero-sum game of industrial relations. I actually think that the evidence shows that some of the countries which are doing better in the global economy today are those which have both relatively strong labor movements. But, more importantly than that, invest heavily and give a great deal of trust and confidence in mechanisms of interaction between organized labor, the business community, and government. Look at the experience of 2008. Who are the countries who negotiated the storms of 2008 best? They were the countries which were able to sit business with labor at the table, with government, and work out a way of getting through the storm. And I don’t think that is a controversial statement. If you look at the employment figures around 2008 and what came afterwards, that’s how it happened. BISHOP: Well, this seems to be the narrative that is emerging in the sort of resurgent Brussels that we’re seeing at the moment of suddenly Europe is back and our model is being vindicated. And, you know, Britain can go away and be a free market and sink into the ocean. And is that—and I guess up until Macron does whatever he’s going to do with the labor market. But is that something that you think has a lot of evidence, that that model is now going to—we’re going to be looking back at this, of Germany in particular I think, where they obviously made some interesting reforms to the labor market and, you know, did, to some extent, reduce the traditional protections of work, but manage to maintain that social contract and the dialogue between the workers and the business unit. Is that something that could be a model for the world going forward? RYDER: That’s a lot of questions, Matthew. I mean, firstly, I’m one of those Brits who actually remains convinced that the best place for the U.K. is in Europe, if that’s a partial answer to your question. I think Europe will survive. The European Union will survive. And it will survive best if it remains loyal to the European project as it was initiated. And that European project was—and from an ILO perspective, it is perhaps an example of the most practical application of the ideals and methods of the ILO to any regional arrangement—was based on a social project where interaction and cooperation between the social actors was fundamentally important. That’s been eroded in Europe. That’s been eroded in Europe, and badly eroded in Europe. Enlargement has, I think, you know, applied a very strong stress test to the European model. I think it’s going to overcome it. It’s going to overcome it. I think there is—I’m not sure I’d go as far as to talk about the resurgent Brussels, but I think there is a regaining of confidence in Europe. And I think that eventually the U.K. will find its way back into that—into that I’m not saying resurgent, but renewed European model. And perhaps you’ve used a word which I was interested in, two words: “social contract.” When Secretary-General Guterres spoke to the General Assembly yesterday, he said that levels of inequality and marginalization that we see in our societies today is dangerous. It’s dangerous because it implies instability, it implies conflict. And he said it also means that there has been a breakdown or a violation—I can’t remember the exact words—of the social contract. I hear this notion of a social contract talked about a great deal. I hear about it in the ILO. Nobody ever explains what they actually mean by the social contract. I think it is, as we look at the future of work, a concept which we can pick up, but it is used and not explained. It is thrown around and not defined. And yet, I think within the notion of social contract lies a very important vehicle for the debates ahead, but I think it needs unpacking and thinking about more carefully. Just to pick up on that a bit in terms of two elections and the role of populism, the role of dissatisfaction with the status quo, and so forth. One being the Macron election and the fact that there seems to be a mandate to really radically restructure a labor market, social contract that existed in France. But then the other being here, where, you know, we have 36 percent of trade unionists in America voting for Trump—maybe turkeys voting for Christmas, but nonetheless. What do you make of those two? And what do we do about—what do we—is this rise of populism basically about the fear of the future of work? Or is it about something much wider than that? And, if so, can we—can we solve it by addressing— by solving the future of work, or are we going to have to find other solutions? RYDER: Well, let’s make a distinction. Macron’s victory was not a victory of populism, it was a defeat of populism. And I think President Macron came basically—and those who might not have had him as their first choice voted to keep out the barbarian, basically, to keep out Le Pen, and did it—as, by the way, happened previously. BISHOP: But both were a vote against the establishment. RYDER: I don’t think so. Well, I think they reflected a—and I think it’s conjunctural. And in French politics you had just specific circumstances that rendered both the Socialist Party and Les Républicains, as they previously were, unelectable. Fillon fell over. The Socialists fell over. It was Le Pen or Macron, and it just happened to be Macron. I think there’s a lot of accident in all of that. But I don’t think that’s the point that you want to get to. Macron has made it very clear that he wants to reform the French labor market, and the reform is going forward. I suspect many people in this audience would find the actual realities of the French labor market reform something of a storm in a teacup. I wonder if it really deserves the type of press coverage that it’s actually getting. Let’s not forget that two out of the three major trade union centers in France have said very clearly they can live with this reform. They’re not on the streets. There’s one out of the streets; there’s two who are not. So I wouldn’t put the French story quite in the same category as the Trump victory. And here I want to speak carefully. I don’t think—I certainly did not expect the Trump victory. I’m not surprised that 36 percent of trade unionists in the U.S. voted for Trump. By the way, that’s only 3 percentage points higher than voted for Romney last time out. It’s where they voted that made the big difference. But it does ask some very fundamental questions about how this happened. And if I could characterize the result as being a vote in favor of the wrong solutions to the relevant questions, I hope you might have an understanding of where I see this. You know, if you’re presiding over a country where wages have stagnated in the way that they have, you know, people do feel resentment. They do feel left out, in the words of the secretary-general, a feeling or real or perceived injustice and marginalization. Changing the political climate, well, yeah, this is happening around the world. And it takes us back to what’s going on in the world of work, what is going on in labor markets. And it should not surprise us, I think, if economic and social developments and inequalities start to filter through to our political systems. They filtered through to our economies. They filtered through to our communities, the societies in which we live. And now they’re in amongst the politics. I think it’s taken longer than I would have expected—and in amongst our politics to stay—and that is why I think the future of work debate—now, it’s obviously important to those who are interested in the field of labor, but issues of inequality, issues of marginalization, they don’t happen to labor markets. They’re generated in labor markets. So I think, you know, unraveling all of this politics, which scares and worries many of us, I think requires us to return and look at how our labor markets operate, the rules that we have, and the results that we get out of labor markets. Back to basics. BISHOP: So the technology industry, I think, is belatedly starting to realize that it’s going to be in the firing line politically if we start to see lots of jobs being destroyed and, you know, you can see the groundswell, the backlash against Silicon Valley emerging. And I guess there have been two sort of so-called big ideas that I’ve heard from people in Silicon Valley about what we do to deal with this scenario, if it happens. One is Bill Gates’ proposal to tax robots in the workplace, and the other is this notion of a universal basic income, which is obviously what—other groups in society that have advocated that as well, the basic idea being, I think, that everyone has the right to a certain payment—a living—a basic living income from the state regardless of whether they choose to work or not. What do you think of either of those two ideas? RYDER: Right. (Laughs.) But, I mean, the whole notion of using fiscal policy intelligently to guide labor market outcomes seems to me something so fundamental that we should not obsess and get overexcited about the idea of putting, you know, a tax ticket on a single robot. We can use fiscal policy to incentivize the employment outcomes that we want and to direct technological innovation. This seems to me to be imminently practical and not so sort of groundbreaking as we might suppose. The universal basic income debate I find very interesting, and I think it is in its very early stages. I’ve been somewhat surprised in the United States to see some of the literature around universal basic income. Here it seems to be coming from across the political spectrum. In Europe, I think it comes from more left side, if I can put it in those terms, and I find that quite interesting. Two or three things to say about it. There are those who would argue—that entertain the notion of universal basic income, in whatever form that might transpire, is tantamount to giving up on work. What do I mean by that? We lived in societies where, you know, income is distributed—created and distributed by virtue of work in labor markets. You basically get what you work for. And to suggest that, you know, that is no longer possible because the future of work which is waiting for us is incapable of generating the type of predictable, steady, adequate streams of income that are required to maintain a decent and acceptable level of existence—if that’s the future of work that we’ve got, well, then we do have to turn to universal basic income guarantees. But we should be very conscious that this is an absolutely era-changing decision, that we can’t do it through work any longer. Now that—there will be those who will point to the economic objections to all of this and the prohibitive costs and all the rest, but there’s something much more profound at work than the economic arguments of universal income guarantees. There is a moral panic attached to the notion of universal basic income guarantees. Most of us come from traditions, from cultures, from belief patterns which basically says we shall earn our living by the sweat of our brow or the strain on the brain. We work for what we have. And the notion that that basic fundament is replaced by the fact that you just get an income for being where you are in the country that you are, I think is something which is extremely difficult for most people to get their head around. And I think there is an associated idea which I think is very important for us to get into our future-of-work debate, which is a societal—the social function of work and labor. Freud called work the individual’s connection to reality. And it’s not a bad way of looking at things. Now, work is, of course, a way of, you know, getting the paycheck at the end of the month or whatever it is. But it’s also a way of interacting with your fellow human beings. It’s a way of contributing to society. We tend to ignore the social content of labor and the social function of labor. And I think we’ve already come a very long way down a road which worries me. You know, in a situation—let me give you an example to try and make a point which I might otherwise not say very well—there are 1.2 million people in the United Kingdom who work on zero-hour contracts. That means on a Monday morning, on your iPhone, you get a message where you have to be the next day and the day after that and the day after that—different hours, different places, different employer. What sort of social process enables a young—and they’re generally young people—to relate to their colleagues, to the people they meet at work, if there is no stable or permanent interaction? This is a desocialization, I think, of labor processes. And I mean it in a sociological sense. It’s one example, I think, of something that we have to think much more carefully about. So being paid even a very adequate income as a guarantee, an alternative to going to work, strikes me as a socially—what am I going to say—problematic proposition. RYDER: Is it—is it unreasonable—yeah. Is it unreasonable for everybody to come together around the notion that we need a future of work which, A, offers everybody an opportunity to participate? The international community has, after all, just rededicated itself in the U.N. 2030 agenda to full employment and decent work for all, saying we want a future of work where we do find a place for everybody, and decent work. Where we, I think, put work back—you’re going to find this very philosophical—back at the center of the preoccupations of our societies, where—from which it has slipped; work which meets that abstract concept of social justice, which might sound difficult to define, but you really know it when it’s disappeared. When you’re not in situations of justice, you feel it. It’s one of those things that you can identify better through its absence than its presence. Those are the elements. Those are the molecules that make up the chemistry of the future of work. And I think that, thought about in this broadest perspective, is something to which people will subscribe, because it addresses so many of the root causes of the things that worry us in our societies today. These are the things which are provoking the types of politics which worry many of us and the types of behavioral patterns, conflict around the world, that we are seeing. BISHOP: We’ve covered an awful lot of ground. I’m sure there are lots of questions that members have. So I’d like to invite members to join the conversation now. A reminder: The meeting is on the record. And please wait for the microphone. Speak directly into it. Stand, state your name and affiliation, and please do limit yourself to one question and keep it short, as there are many members here. So we’ll take the lady in the middle here to start with. Q: Thank you. My name is Lucy Komisar. I’m a journalist. When the ILO started tripartite—tripartite—one assumed that the three groups felt they had something to win by working together, or maybe they felt they had to. The trade-union movement was stronger, and so the workers could make some demands. And I think it’s—you see it best in Germany now, where they still have some power and you have co-determination and you have a system that could have existed elsewhere. BISHOP: Can I bring you to a question? Q: OK. But you—and you have governments with here the right-to-work laws also exploiting workers. So how does the—how do those three elements now work together in the ILO when it’s such a different ballgame? How do the corporations and the companies work vis-à-vis the workers part when they don’t seem to have the same desire for a social contract that they once had? RYDER: The historical contrast with the—you know, with the early days is instructive. I mean, there were two things, to be honest, which brought the ILO into existence, and with that tripartite model as its structure. One was deals done in the First World War to keep arms production going. I mean, in my country Lloyd George did a few deals with the trade union movement. They kept the war effort going. This was a payoff. Samuel Gompers was there too. Second thing, and much more obviously, was the Bolshevik revolution, which scared the pants off the Western world. And the ILO project of reforming labor as an alternative to something uglier has kept the organization in fuel for a very long time. How does that look 100 years later? Now, I would not—what I think doesn’t matter. I don’t think most of the world has got to the point where they’re saying we don’t need this dialogue anymore, that this makes no sense, that there is no value, that that initial contract of 1919 no longer functions. The ILO was tested at the end—the moment when that question was put most acutely was when the Cold War came to an end, because then—and there’s a letter on desk, or in my drawers, from the president of the Swedish Employers Confederation who basically said: We won that fight. We really don’t need the ILO any longer. Let’s close the doors. That did not happen. And I think, and there are people from the business community here who are in a better place than I to speak for themselves. I think the business community sees the interest internationally in working with their labor colleagues. And I think that most governments see that this is the right way to proceed as well. So I would strongly argue—and it’s not pure self-interest that leads me to that conclusion—that this social contract, this tripartite contract, still makes sense, has to be made to work, we have to look at representation legitimacy, but it still operates, it still functions, and it still has plenty to give. BISHOP: Let’s go to the front here. What do you think can be done to reverse the growing disparity between rich and poor in many Western democracies? When you look at the trend of technology, like driverless technology, there’s a report that by 2030 truck driving will be obsolete. So if you think we have a polarized society now with blue collar workers losing their jobs it’s going to be much worse. How do we reverse that trend? BISHOP: The starting point, I think—and if I interpret your question, sir, accurately I think you subscribe to this proposition—is to say that we have a problem. That current levels of polarization of labor markets, of inequality, of marginalization, constitute a problem. And I don’t know what the view of the room would be, but the international community has taken a view that current levels of equality are a problem because it’s very explicitly set itself a target for reducing levels of inequality. The ILO has been arguing the case for combatting inequality from a social policy perspective for decades. We now have others arguing the case for reduced inequality from a very directly economic proposition. This is the case of the International Monetary Fund, that’s done some pretty groundbreaking work on the effects of inequality on growth and job creation. So the starting point is recognition that we have a problem. I believe that to be the case, but I don’t speak for everybody else. But most people would say there is a problem here. So the first thing is that. Secondly, we have a pretty good understanding of what is required to make a difference to levels of inequality. It’s got to do with minimum wages. It’s got to do with collective bargaining. It’s got to do with fiscal policy. These are not—it’s not rocket science, if you like. (Laughs.) We know these things work. But there is a certain reluctance in certain political, social quarters to apply these instruments. So here you have something which has confused me for a long while: This greater recognition that inequality, marginalization is hurtful to us all—not just to those at the bottom of the pack, but to us all—and yet a reluctance to apply trusted—and, by the way, to look for new policy instruments as well—but at least to apply the things we know about in terms of social protection, minimum wage, collective bargaining seems to go against some orthodoxies which have become very deeply ingrained in our way of thinking. So that’s my answer. And then of course I think we do have to look for new policy instruments for the future of work. If we are—if we leave technological innovation to do—to bring its effects without any corrective policy adjustments, for the reasons that you have explained, I think we can look to a future of greater polarization, of greater inequalities. But if there is a societal choice that this is bad and to be avoided, there is no reason at all to believe it is beyond our policy ingenuity and capacities to make a difference. This seems to me to be an abject surrender of responsibility to believe that to be the case. BISHOP: To the gentleman in the middle there. Q: Thank you. My name is Joel Cohen. I’m a professor at Rockefeller and Columbia University. Thank you for your thoughtful comments. Would you comment on the role of education in the future of work, which I didn’t hear you mention; and the role of demographic change, which I didn’t hear mentioned, particularly considering that in the next four decades, there will be 4 billion more people over the age of 65 on the planet and the number of young people age 15 and under or 25 and under will reach a peak in the middle of the century and then decline? So what are the needs and implications of education and demography, please? RYDER: Thank you, sir. I’ll begin with the demographics. And you’re quite right. My silence on those two issues was—needs to be corrected. We have identified—in the work we’ve done on the future of work to this point, we sort of distilled four what we call mega-drivers of change in the world of work: technology obviously, the uncertain path of globalization and the choices we make in that regard obviously, action against climate change—I was silent on climate change. Just now President Trump was silent on climate change yesterday. Climate change and action on climate change is going to be one of the biggest drivers of transformation of production systems in the years ahead. And the fourth mega-driver we’ve identified is demographics and, I should probably say, sir, differential demographics, because whilst in the audience sitting in New York, our mind tends to focus upon aging populations. That’s—you know, you go to South Asia, you go to sub-Saharan Africa, it’s the opposite demographic which is at play. So it’s quite a complex set of issues. But demographics—I can see two issues that need to be addressed when we look at demographics, three perhaps: firstly, the issue of human mobility. At a time when migration for jobs or for any other reasons has a particularly toxic political proposition, we have to understand that differential demographics is going to cause—be behind an increase in pressures for migration and human mobility. This seems to me to be an inevitability. But the international community has proven itself remarkably inept at putting together types of international instruments, at types of agreements that enable us to manage international migration in the way that we surely must do. The U.N. returns to these issues one years from now, and let’s hope that will mark some progress. So managing human migration is one thing. The second, of course, is the future of social protection. And we know all about those dependency ratios and what’s coming there. I think there are two things we need to do about that. One, of course, is to accept, as I do and always have done, that we are going to have to work longer, that working lives are going to have to increase, that we are going to have to revise pension ages. And that’s happening around the world. A child born in Denmark today can expect to work beyond the age of 70 as a proposition at this point. That means reengineering labor markets too, I think, as well. The third issue—and this takes me to the—sort of the view from the south, if I were to put it in those terms, is simply the drama of youth unemployment around the world. I spent a lot of time in New York this week working on the U.N. global initiative on jobs for youth. You know, if there is one—David Morse had a wonderful phrase of the unexploded ordnance in our society. If there’s one piece of unexploded explosive material, it is youth unemployment. And we have to work at that. Education, thank you. I mean, it’s so obviously, basically important I forgot to mention it. (Laughter.) You know, obviously we have to work on our educational systems, our skills development systems. I worry about our debate on education getting mired down in a certain number of clichés. Those clichés are the mismatch in what labor markets need and what education provides. I don’t think it’s quite as simple as that. I think it’s very important that the world of work and the actors of the work of work also play their own role in skill developments. You don’t go to the supermarket and take, you know, a young worker off the shelf fully formed and fully functional. You’ve got to work at those things. And I don’t think—I don’t know if this is going to be a sensible thing to say—that education, education, education is the answer, not in itself, to issues of inequality and marginalization. You know, if you get better educated you might yourself higher up the ladder, but the ladder will still be there. (Laughs.) So whilst underlining all of the importance of education, I think we have to, again, look at the debate rather more closely than sometimes is done. BISHOP: So lady over there. Q: Barbara Samuels from the Global Clearinghouse for Development Finance. I wanted to ramp up the challenge and look at it in terms of developing countries, with a focus on Africa. For example, right now we know we need job creation in Africa. We need infrastructure development. But despite the Paris declaration against untied aid, we have the existing policies of development institutions often encourage the import of equipment and services from industrialized countries. And as you just discussed, we are still lacking the educational support to really have those supply chains and those value-added processes within African countries. When you talk about new policy instruments, what are the things we should imagine and we should work on together? Some countries for example have, God forbid, thought about and are implementing local content laws. Are there certain requirements that ought to be in PPP agreements? Where should we be going? Thank you. RYDER: Yeah. Let me try and preface an attempt at an answer, because I feel badly equipped to answer that very complex question, with one comment which comes, again, from out work on the future of work. You see, I think that developments in the future of the work now are going to disrupt or have disrupted, can I call them, established or conventional development paths. We still have, it’s there in the 2030 development agenda, the notion of industrialization as the classic, you know, graduating process towards something approaching, you know, what we regard as a developed economy. I very much doubt that sub-Saharan Africa, or indeed India, by the way, is going to experience the classic industrialization process that took societies such as mine to where we got. It’s not going to happen because an industrial society—not in Africa, not in the United States, not in the United Kingdom—is not going to provide the quantities of employment that we have traditionally associated with traditional development paths. So Africa’s going a different direction. That will be my view, in 10 or 20 years. Now, I’ve spoken in a number of moments in this discussion about the uncertain future of globalization. Again, this is an important framer of an answer to the question you’re asking. I see, we see, don’t we, a stepping back from the notion or the assumption that our collective wellbeing is best served by, you know, continued integration of global economies. I never expected to see this happen. I honestly did not expect to see this sudden reversal of ideas. And again, listening to what I heard yesterday in the General Assembly, this notion that international cooperation, international relations, can only be conducted on the basis—or, can best be conducted on the basis of every country saying: Well, my country first, strong, independent, sovereign countries. How does that track out into the types of questions that you’re asking? What is a U.S. government responsibility towards Africa? What is—what is the interest in Africa—in Africa’s successful development? I think a lot of the paths that we take, a lot of the policy settings that we decide upon, depends very much on how we answer those questions. In the course of this week I’ve also had an occasion to interact with many people from the investment community on the issue of how is the United Nations intending to finance its 2030 development agenda, and the figures are quite eyewatering, how much finance needs to be mobilized. And I was rather surprised by some of the views expressed in some of the sort of closed room conversations about finance and investment. There seemed to be an assumption from many with whom I talked that we’re doing fine, that the investment community is, by virtue of processes which are already underway, finding its way to directing resources to meet development needs, that there was really not much need for a change in policy settings or incentives in the investment community. It was happening because there is a demand for it, because this is what the market will take us towards. I was surprised. I have to say I was not entirely convinced by what I heard in that regard. I’m sorry, that’s rather a number of disjointed responses to a difficult question. Q: Thank you. Hi. I’m John Weber at BlueMountain Capital. I’m starting to see a lot of companies that are using online talent platforms or freelance managing systems to hire clerical workers across the world at a fraction of the cost of hiring those workers in their own markets, and that kind of sidesteps or goes around any form of labor regulation. I’m just curious whether you or ILO has any views on whether or how—you know, what the regulatory model for that might be, and interested in your thoughts. RYDER: The ILO hasn’t developed its position on that. There is no ILO position per se. But one thing—I mean probably the most frequently asked question about the future of work is—by the way, the—you know, the epicenter of the debate tends to be around Uber. You know, anywhere Uber has been in town, people say, well, what the hell are we going to do with this new type of economy—the platform economy, the shared economy, call it what you will. And you’ve seen some of the difficult regulatory discussions which have taken place around Uber. I think the first question we’re going to have to answer—and we don’t have an answer for it yet—is whether this platform economy model, if I can call it that, is going to be a sort of a niche specialty in labor markets, sort of what we see today is a precursor of something which is going to become general or highly generalized. And there are very different schools of thought out there about that. A lot of the discussion tends to be about whether or not one can establish an employment relationship in this type of situation, with everything that implies in terms of terms and conditions of work, in terms of social protection, benefits and all the rest. What I think we are seeing—and this is not something which I think we should be surprised about—is that facts on the ground are running ahead of a regulatory response. I think that time lag is almost inevitable when you have a new phenomenon of this nature which is transformatively different from what we’ve been used to. But I do believe that we have to work on engineering that regulatory response. Now, I hear a lot of people, you know, speaking very positively about the prospects and sort of liberating options provided by the platform economy, and they’re real. They’re real. There’s great opportunities in them. But one thing I think the platform economy, if it becomes generalized, will do is create a polarization again, because those with highly desired and highly sought-after skills I think are going to have a fantastic time on the platform economy. They’re going to earn an awful lot of money and work exactly as they can choose. They’ll be masters of their destiny in a way which is very, very attractive. But at the bottom end of the labor market, you’re going to get something which looks like—which is just about, in my labor memory—you’re going to get something akin to the dock workers going down to the dock on a morning and seeing if they’re going to be picked up, or the agricultural workers going to the town square and seeing if they can get a day’s work. And that’s not what we want. So, like much else in the world of work, we’re seeing a phenomenon which looks like it could offer fantastic rewards and opportunities for the future but could look like a 19th century labor dispensation for the many. And I think we don’t want that. So a complex question which certainly will require that we return to it. BISHOP: The lady right in the back. Q: Thank you. I’m Ella Gudwin with VisionSpring. I wonder if we could go to emerging and frontier markets again and come all the way down to the beginning of our manufacturing and agricultural supply chains. Wonderful things have been happening for very many workers as audit functions have started—auditing factories have started to shift to worker wellbeing and thinking about service delivery into those low-income settings. There’s increased productivity on small farms and people finding new routes to market. But if the ILO was founded really around the whole idea of worker wellbeing, safety, engagement, et cetera, where do you see the future of worker wellbeing going? And beyond talking at conferences—and many factories are the source of supplies for very, very many corporations and brands—what can be done to increase the collaboration and cooperation so that that work continues and that worker wellbeing is carried forward? And where does it go in the future? RYDER: You focus my mind around the work that the ILO has been doing—and there are some participants in that work in the room—around global supply chains in recent years. Sometimes it takes something very bad to move us. The very bad thing that moved the ILO was around the Plaza tragedy, a factory which had been audited repeatedly—a factory which had been audited repeatedly and given a clean bill of health, which does point to some of the limitations on social auditing processes. Since Rana Plaza, we’ve had major policy debates in the ILO. But in Bangladesh—and we’ve engaged a lot with companies, international companies, which source in Bangladesh in the ready-made garment industry—we’ve put in place very extensive hands-on, on-the-ground activities to do a number of things. One is to simply inspect the structural safety of—I was going to say the factories, but they’re not factories. They’re often residential buildings which are used to make things. And we’re actually making progress in ensuring that these are not death traps. We’re working upon labor regulation. We’re working upon educational work to promote better cooperation between employers and workers. We’ve come some way in the case of Bangladesh. We’ve got an awful lot left to do. But the more general proposition is about supply-chain management and business responsibility therein; very big and very difficult and very sensitive debate which should not be simplified, and I should not try to represent it in a few phrases. The business-and-human-rights framework of the U.N. talks about companies exercising due diligence in ensuring that they are respectful of human rights. We have to help business. You have to work with businesses, which, you know, in almost all cases want to do the right things around supply-chain management. And this is not, as you’ve indicated, just about theoretical debates in comfortable rooms in Geneva or in Washington or New York. It’s about actually getting out there and working with industry. And we are doing that. I want to just emphasize it’s focused very heavily on the garment industry, but I think we have to expand more into other sectors in that regard. It’s a big part of the work that we’re doing. BISHOP: So we’re pretty much out of time. I just wanted to end by asking you one question, really, about you. You set up this Commission on the Future of Work. What is it—what’s your challenge to the members here about, you know, what needs to be done in order for us to be optimistic about the future of work? RYDER: Yeah, if you’ll allow me the publicity spot—Matthew, you’ve given me the opportunity—we have set up a Global Commission on the Future of Work. It’s chaired by the prime minister of Sweden and the president of Mauritius. We think it’s a pretty good commission. It will be in session until the end of 2018, produce a report at the end of that year, and that report will be considered by the Centenary International Labor Conference in June 2019. I’d love you to be interested in that process. There’s an awful lot of organizations which are working on the future of work. It has become very much flavor of the year. The ILO, I think, got ahead of the pack on this one. But the World Bank, the IMF, the OECD, the European Union, and I’m sure many organizations, think tanks, and businesses represented in this room are working in this field. We can learn a lot from you. Our Commission, our Future of Work Initiative, is a very open process. We are conscious that there is an awful lot of work being done, an awful lot of insights and views out there on the future of work, so why should the ILO be doing this? What I think we bring to the discussion, a couple of things. We are part of the United Nations. We do have a certain public policy legitimacy. We are tripartite. We are universal in membership. And, hey, it’s our hundredth birthday. (Laughter.) It’s only respectful when you get to 100 years—(laughter)—for everybody to pay—you know, to join in the party, as it were. So can I leave you that invitation—and we can work out ways to communicate it—to stay involved with our Commission? Believe me, we’re open for ideas. We’re open to thinking. We believe this to be a project of sufficient significance and relevance to our communities in the widest possible sense, that this should be the most open process possible. BISHOP: Thank you. If you can clean the—empty the room as quickly as possible, that would be great. Thank you.